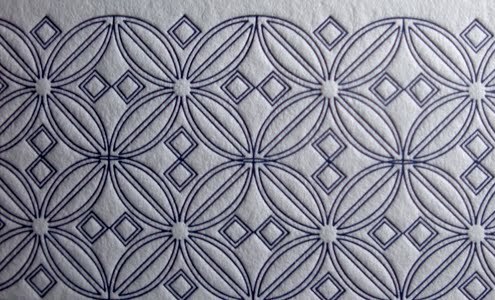 Gorgeously crafted invitations are the order of the day at Delphine Press - one The B-List's lovely sponsors. One of my favorites is the San Francisco Tile, a lovely design that blends modern with classic art deco motifs. And with crisp blues set against a backdrop of crisp white paper, the effect is the perfect way to announce your wedding. 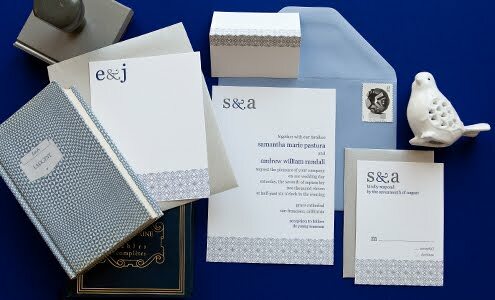 Or should you like, Delphine makes it easy and fun for you to truly customize your wedding stationery. 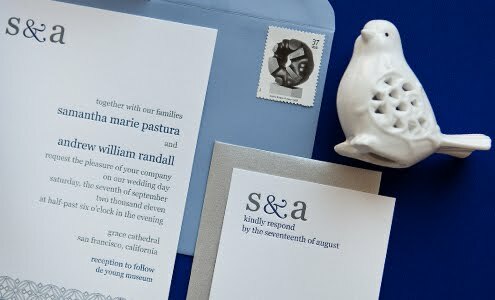 You’ll preview with confidence your entire suite before going to press, from the save the date to the invitation, menu and thank you card. Interactive pricing, instant previews, wonderful customization options, even wording and etiquette suggestions are all easily viewed, edited and saved from a single easy to use page. Click here to see the full range of Delphine's wedding invitations! 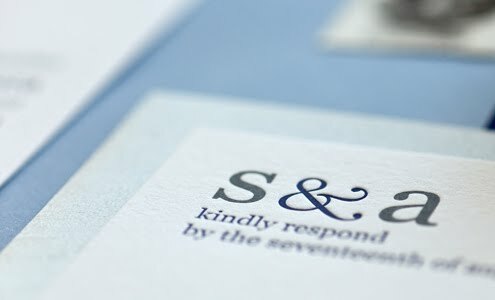 The wedding stationery are fantastic. I wanna have them.